FREE Online Portrait Photography Class! You are here: Home / FREEbies / FREE Online Portrait Photography Class! Don’t miss out on this hot FREE class on Craftsy! 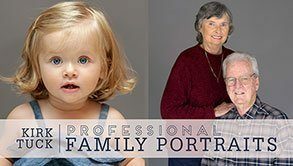 FREE Online Portrait Photography Class! Perfect for the new or budding photographer to learn more about posing, composition and standards. This FREE online class is one of many offered by Craftsy! Quilting, Sewing, Cooking and more all offer great FREE mini classes! Head over and check out all the great classes that Craftsy Offers today!